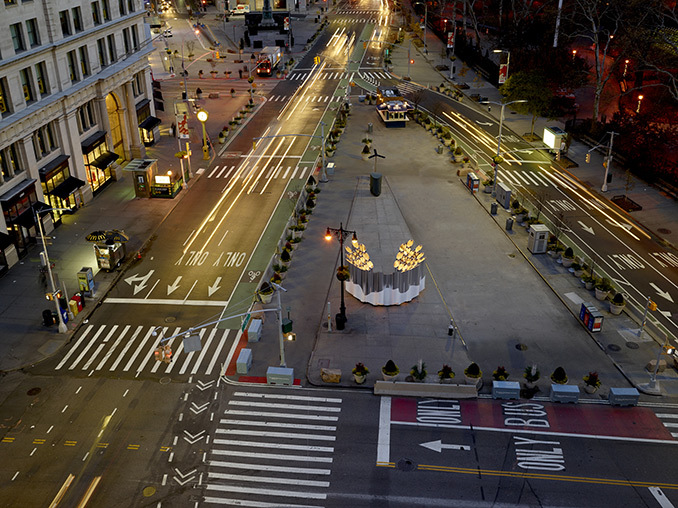 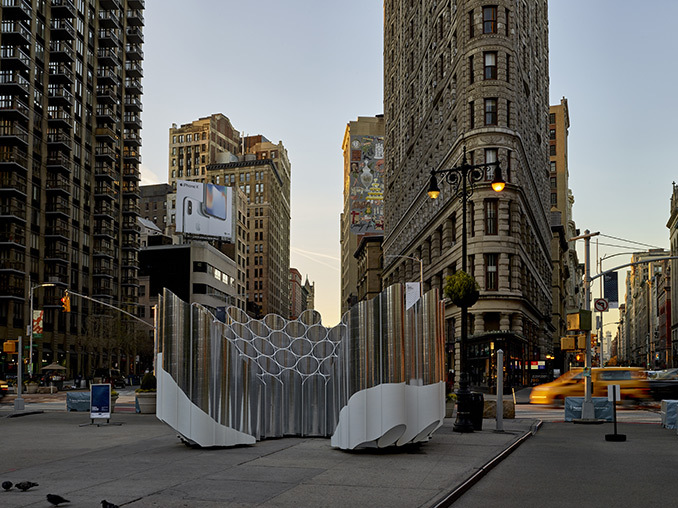 The Flatiron/23rd Street Partnership Business Improvement District (BID) and Van Alen Institute has installed Flatiron Reflection, winner of the fourth-annual Flatiron Plaza Holiday Design Competition in partnership with New York City DOT Art. 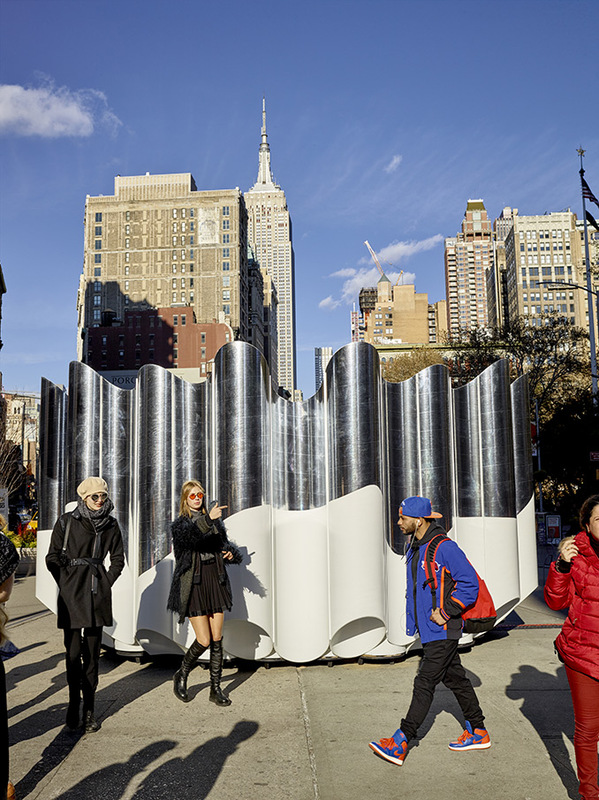 The reveal on November 20th kicked off the BID’s sixth-annual 23 Days of Flatiron Cheer season, with the installation as a highly visible centerpiece for the Partnership’s holiday programming. 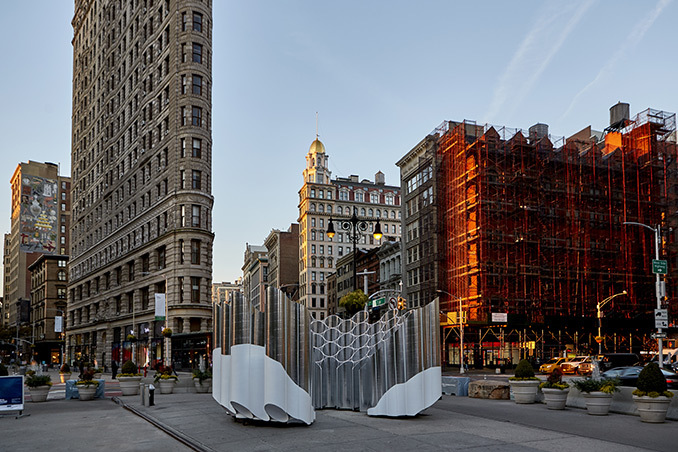 Flatiron Reflection was selected by a jury with expertise across the worlds of design and public art, including representatives from the Flatiron Partnership, New York City DOT Art, and Van Alen Institute’s board of trustees. 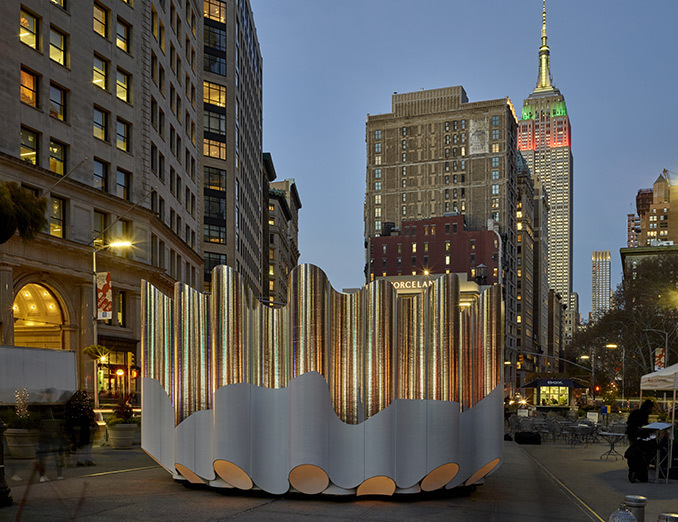 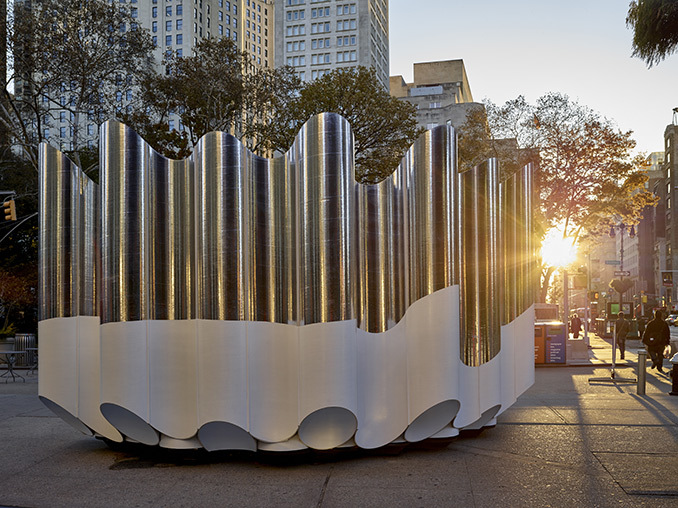 The installation—situated on the Flatiron North Public Plaza at the intersection of 23rd Street, Broadway, and Fifth Avenue will be up through January 1st. 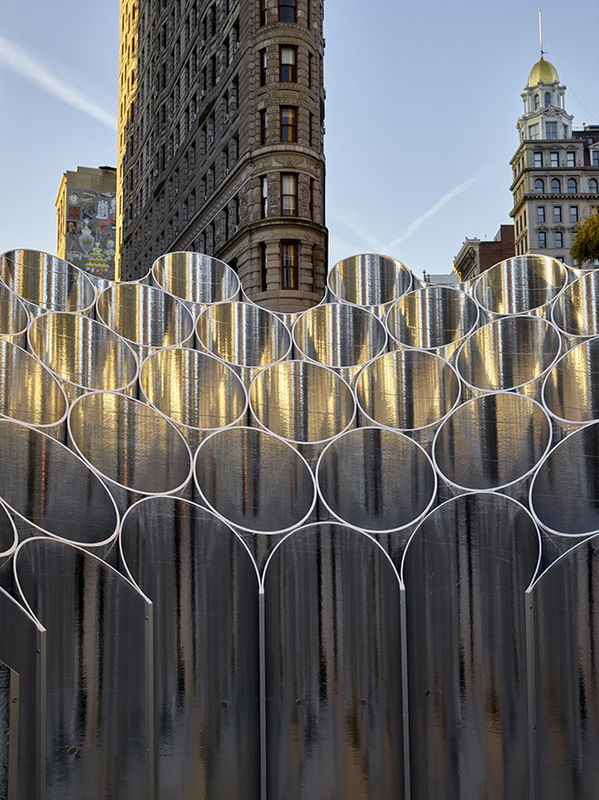 Flatiron Reflection, designed by Brooklyn-based architecture and design firm Future Expansion, is a public-spirited space that encourages new experiences of the city, new modes of dwelling in the plaza, and new views of its context. 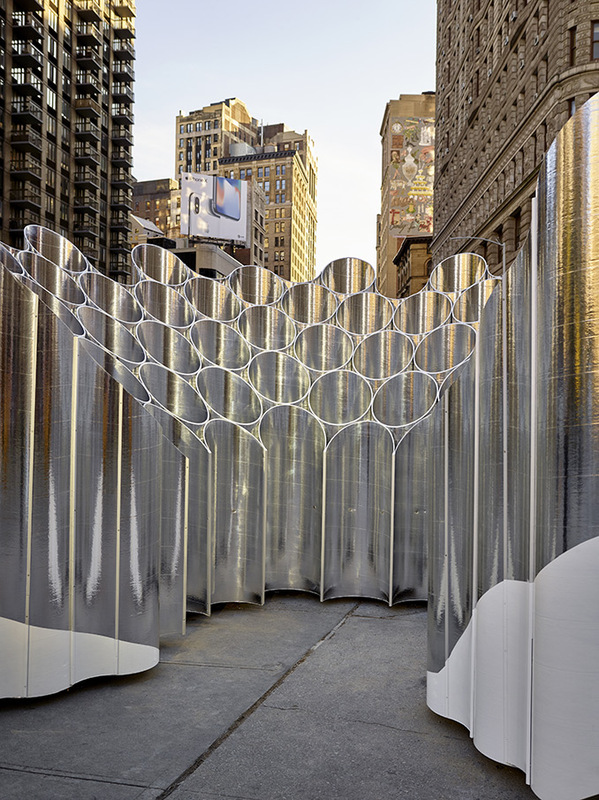 A bundle of shimmering tubes creates a fragmented column at the scale of the public plaza. 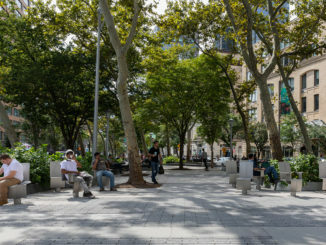 The fluted perimeter offers niches that can be occupied, while a panoramic central space opens out like a stage into the plaza. 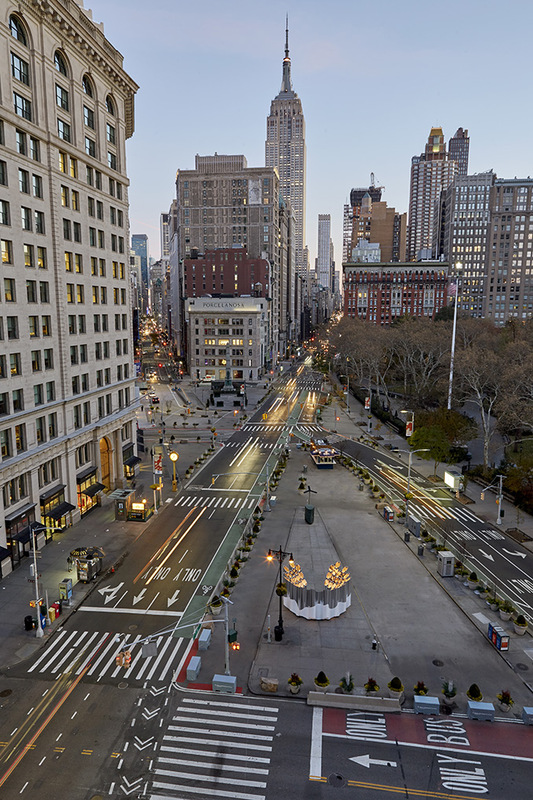 The conical interior form cuts out the visual noise of the city to isolate the image of the Flatiron Building and its neighbors on the skyline. 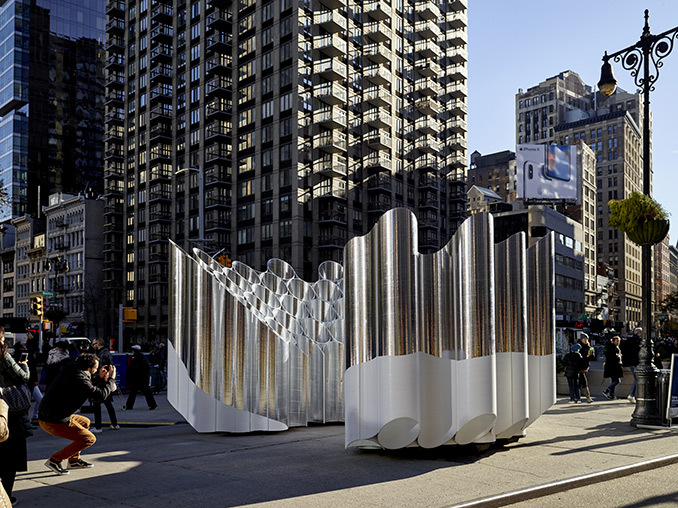 The installation is permitted by New York City DOT Art and is open to the public daily, weather permitting.